Business Management in Material Management recognized as equivalent to MBA by UGC/ AICTE. Preference shall be given to candidates having qualification of BE with MBA in Material Management. Application in prescribed format (download from website) addressed to: Dy. 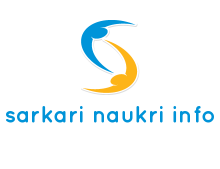 General Manager (HR), Krishak Bharati Cooperative Limited, Plot No. A-10, Sector –1, NOIDA – 201301 (U.P. ), in a sealed envelope super scribed “Application for the Post Applied” shouls reach on or before 29th May 2012.